Instead of a vertical tile board, you have four Chinese dragons containing rows of mystical gems (tiles) which need to be eliminated to set the dragon free by dropping one to form a row of three, either in the row where the gem came from or in the row where the gem is dropped. 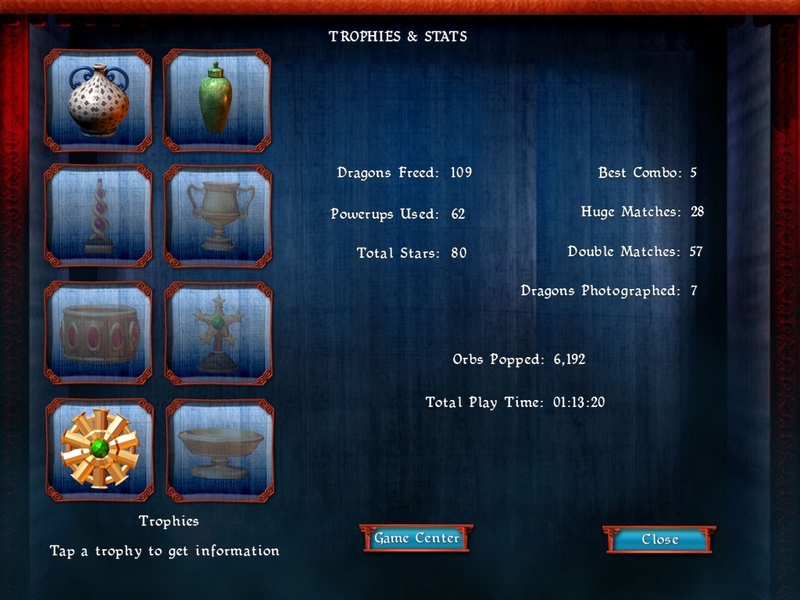 The basic objective is to match tiles to keep the dragons in flight and to fill up the progress bar to complete a level. 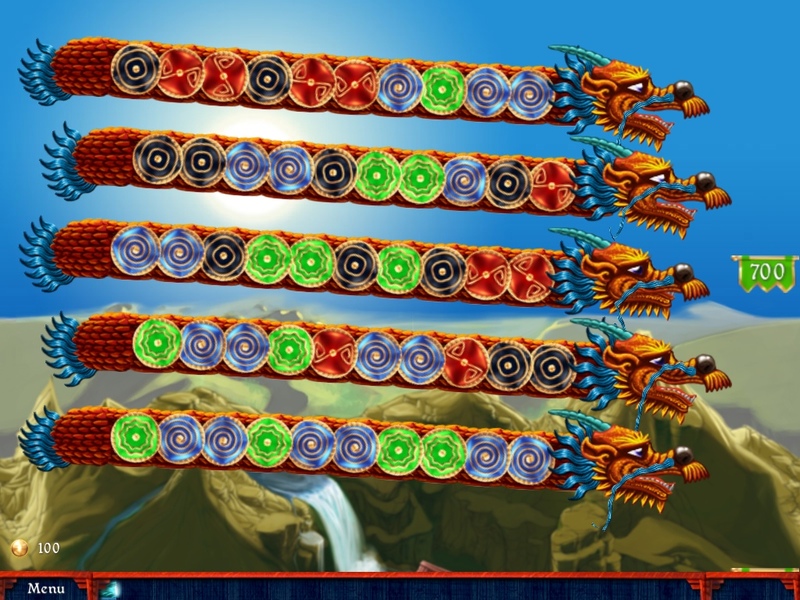 If the dragons fly too low, you will end up losing one or more, making it difficult to finish the level. As the game progresses, some of these tiles are locked and you will need special power ups to make elimination easier. There are three types: destructive, creative (allows you to change or modify the gems, for example) and passive (gives you more time to finish the level, for example). 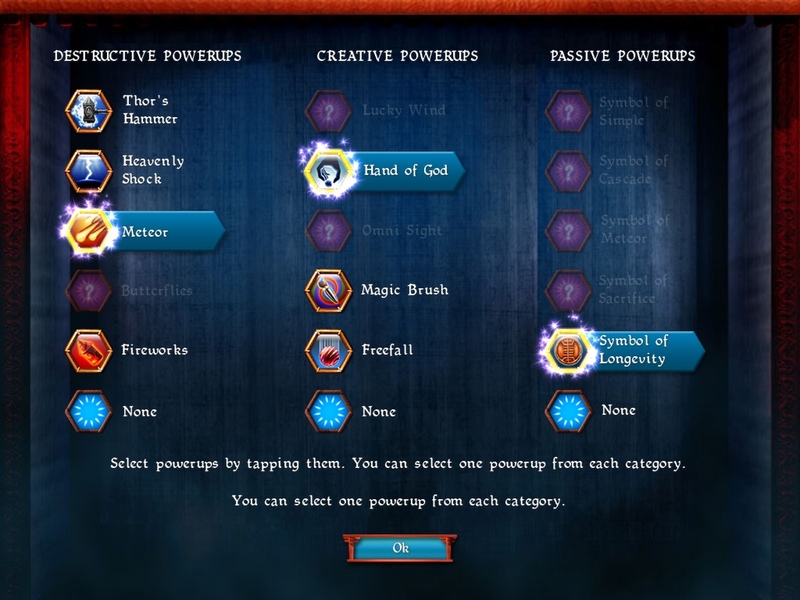 There are trade offs for choosing a power up over another. The unique game mechanics call for a different type of strategy, making the game very challenging at later levels. 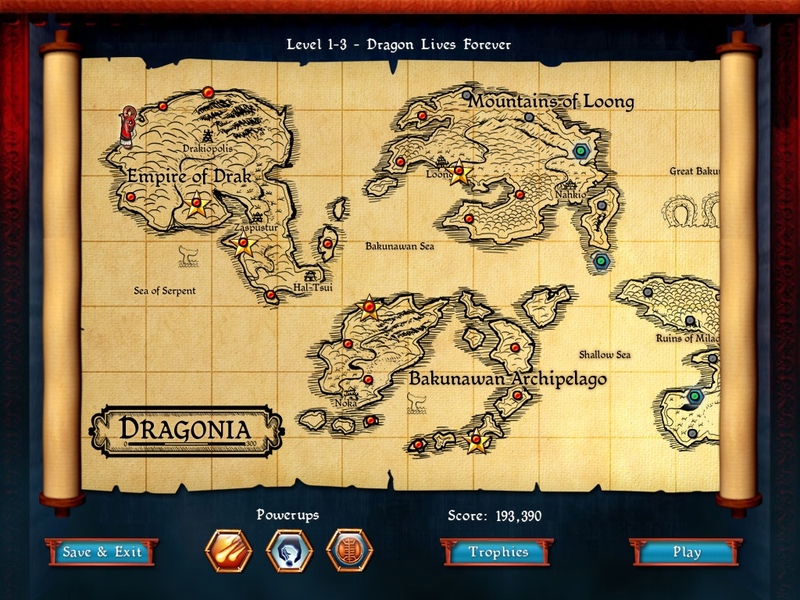 There are three game modes: story, survival and island, extending replayability of already 70 impressive levels. In between, there is a dragon photography mini-game to break the monotony. As with 10 tons ltd’s games, the music is quite distinctive and beautiful. Usually, the graphics in their games are also very rich and detailed, but in the case of Dragon Portals HD, I find the gems a little blurry-looking and the colors not as vibrant compared to their usual work. Other than that, the game is a dream to play and is one of the more challenging match three games out there. This game is essentially the iPhone version on a bigger screen. If you’ve played it before, it depends on how much you like the game for you to want to own it again on your iPad. The game has not lost its appeal or replayability, in my opinion so a re-buy isn’t a bad thing at all. For newcomers to Dragon Portals HD and fans of match three, then you have to have this game in your collection.